Consider the following scenario. A 40-year-old man arrives to your office seeking medical treatment for a mild personal injury suffered several weeks or months prior. Unbeknownst to you, the patient has hired a personal injury attorney who suggested that you evaluate him. Over the course of months to years, the patient reports no meaningful improvement in symptoms despite no objective biomarkers that any significant physical damage has occurred. In fact, the patient may even report getting worse despite all treatment attempts. 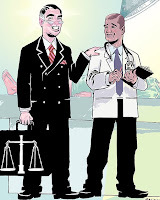 Unbeknownst to the health care provider, the patient is regularly checking in with his attorney and receiving directives to request referrals for numerous therapy services (e.g., physical therapy, occupational therapy) to establish a record of a need for medical treatment to be used in settlement negotiations or an upcoming trial. Along the way, the attorney also directs the patient to make requests for diagnostic imaging (“Can you order an MRI?”), medications (“Can you prescribe me something for the pain?”), and specialty evaluations by someone known to the attorney (“Can you refer me to Dr. Smith?”). In health care, the attorney is said to be operating in stealth mode, although in other cases the attorney may be bolder and make these requests directly to the health care provider. “The lawyer he (the patient) has hired told me that my response to a multi page letter from ‘independent’ reviewers needs to contain a rebuttal to their assertions that he has no claim. Whatever data I generate from the review of his file and references to papers will need to be made now because, if he does not win this appeal, only the information that I provide in a response can then be used in a subsequent law suit." The doctor, wanting to advocate for his patient and not cause harm, writes a strongly worded rebuttal to the independent reviewers, clearing the language with the patient’s attorney before sending it in. A deposition, followed by trial testimony, is forthcoming. The above scenario, and variations of it, occurs with alarming regularity and it is a major cause of increased health care costs, costing millions of dollars a year or more. In such cases, much of the patient’s healthcare outwardly appears to be directed by the health care provider but is actually being directed by the patient’s attorney . Despite this, years of medical bills are sent to the patient’s insurance company as opposed to the attorney’s law firm. In addition, the attorney has obtained a free expert witness, taking advantage of the health care provider’s fidelity to the patient and fear that not helping with the legal requests will cause the patient to lose the case, thus causing "harm.". The above scenario raises many obvious ethical and legal pitfalls, the most important of which is the potential for insurance fraud. The next blog entry will discuss steps that health care providers can take to prevent themselves from being placed in these situations or manage them better when they occur. If Andy Williams Drank Tea Would He Still Be Alive? Today, legendary singer Andy Williams (age 84) died of bladder cancer, a condition he announced being diagnosed with less than one year ago (November 2011). He had received chemotherapy treatment. One of the first things people ask when finding out that someone they know (or know of) has died of an illness, is what the signs and symptoms were and if it could have been prevented. For most people, bladder cancer presents with blood in the urine, a sure sign that something is wrong and that you need to see a doctor ASAP. However, the blood is sometimes only detected microscopically, which is why regular check-ups with the doctor are important because periodic urine analysis studies are typically ordered. Painful and frequent urination are also symptoms of bladder cancer as is a feeling that one has to urinate but being unable to when trying. It is worth noting, however, that bladder cancer is only one of many reasons why someone can experience these signs and symptoms, some of which are more serious than others (e.g., dehydration, kidney stones, urinary tract infection). Diagnosis of bladder cancer is typically made via a biopsy of selected tissue. At this time, there is no clearly effective screening test for bladder cancer. Thus, the focus turns to prevention. Some risk factors are controllable such as smoking and not exposing yourself to harmful toxic chemicals such as arsenic and those used in various manufacturing plants (e.g., paints and dyes). However, many of the factors are beyond one’s control such as genetics and being an old white guy. That may sound humorous but indeed, old age, being white, and being male are all factors that increase one’s risk of bladder cancer. As a result of such incontrollable factors, people often try to turn to diet to tip the odds back in their favor. Enter the world of tea consumption, which has been touted as being able to prevent bladder cancer. Individual studies on the topic have been inconsistent. When this happens, one of the best ways to gain more clarity on the subject is to perform a meta-analysis. In a meta-analysis, the researcher examines all of the best studies available on a particular topic, treats each study as if it was a research subject, and looks to see if the claimed intervention is actually effective. A new meta-analysis on this topic was recently published in the World Journal of Surgical Oncology. The authors selected the 23 top studies on the topic and found no association between tea consumption and decreased bladder cancer risk. This held true regardless of the type of tea consumed (e.g., green, black), gender, or the type of research design used. Incidentally, this meta-analysis replicated the findings of a prior one on the topic (Zeegers et al, 2001), yet included 11 more recent studies. Overall, regardless of how much tea Andy Williams would have consumed, he would have very likely still passed away from bladder cancer. Qin J, Xie B, Mao Q, Kong D, Lin Y, Zheng X. (2012). Tea consumption and risk of bladder cancer: a meta-analysis. World Journal of Surgical Oncology, 10, 172-(ahead of print). Zeegers MP, Tan FE, Goldbohm RA, van den Brandt PA (2001). Are coffee and tea consumption associated with urinary tract cancer risk? A systematic review and metaanalysis. International Journal of Epidemioogy, 30, 353–362. In the current issue of Acta Oto-Laryngologica, Drs. Nicolas Albertz and Gonzalo Nazar summarized 10 years of experience in treating patients with abscesses around the tonsil region (known as peritonsillar abscesses). An abscess is a well-defined collection of pus that has escaped from blood vessels and has been deposited on tissues or in tissue surfaces. One or both tonsils can become infected and develop an abscess. These types of abscesses are actually the most common infections in the deep part of the neck. A common form of treatment is to cut into the abscess and drain the pus. However, Drs, Albertz and Nazar provide evidence that immediate surgical removal of the tonsils (tonsillectomy) is a safe and effective alternative treatment based on reviewing 10 years worth of patients (total =112 people, average age = 24 years) with this condition who had one tonsil (28 patients) or both tonsils removed. Of the patients who received the surgery, none developed sepsis, which is a potentially deadly whole-body inflammatory response to infection. Only four (3.6%) of the patients developed bleeding after the operation and of these, two resolved spontaneously. Only 29% of the patients had enough pain that they needed to use a pump to self-administer morphine after surgery for pain relief. The average hospital length was 3.4 days. Of the 28 patients who had one tonsil removed, four (14.2%) developed a strept infection of the tonsils. Two of the 28 patients (7.1%) were admitted to the hospital again with inflammation around the tonsil area on the side that was not operated on. Only one of these patients required drainage and removal of the other tonsil. The authors concluded that the complication rate of the immediate tonsillectomy in these patients was similar to that of scheduled tonsillectomies in adults and that this should be considered a first-line treatment for peritonsillar abscesses. Reference: Albertz, A. & Nazar, G. (2012). Peritonsillar abscess: Treatment with immediate tonsillectomy –10 years of experience. Acta Oto-Laryngologica, 132, 1102-1107. New social psychological research from Japan is shedding light on differences is modesty between people from American and Japanese cultures and shows the powerful effect of financial incentives on behavior. In the experiment, Japanese and American participants each completed two tasks: an embedded figure test and a trustworthy judgment task. The Japanese participants were found to be modest (self-effacing) when asked to evaluate their performance compared to peers in their age range when no reason for providing the evaluation was given. This was the case even though the responses were done via an anonymous questionnaire. By contrast, the Americans (especially the men) showed a self-enhancing tendency when evaluating themselves when no reason for providing the evaluation was given. However, these cultural differences were eliminated when the participants were offered money for providing the correct self-evaluation. That is, the Japanese and the American groups both enhanced their self-evaluation ratings when offered a monetary awards. 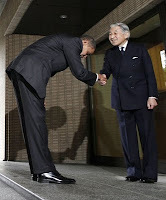 The findings show that the stereotypical differences in modesty between Japanese and American cultures were entirely dependent on context. The authors believed that the results showed that modesty is a default reaction in the Japanese culture designed to avoid offending others. This default reaction was described as a social mandate that is advantageous to avoid being excluded from the group relations they encounter in everyday life. However, the study shows that default cultural behavior can be altered significantly with a monetary award because there is a strongly motivating factor present to override it. Reference: Yamagishi, T., H. Hashimoto, Cook, K., Kiyonari, T., Shinada, M., Mifune, N., Inukai, K., Takagishi, H., Horita, Y., Li, Y. Modesty in self-presentation: A comparison between the USA and Japan. Asian Journal of Social Psychology, 15, 1, 60-68. The entire study can be read here. Are you looking to improve your health? You've probably started by getting more exercise and switching to a healthy diet full of fresh fruits and vegetables in order to get more nutrients from your food. This is a great start, but the reality is that it's extremely challenging to get all the nutrients your body requires from your food alone. Fruits and vegetables derive their nutrients from the soil in which they are grown. Unfortunately, our soil is becoming depleted, which means that today's fruits and vegetables as well as other foods have lower nutritional content than in previous years. The animals that eat foods that are grown in depleted soil also have fewer nutrients available, which means that the pigs and cows that we consume in the form of pork chops and steaks also have a less favorable nutritional profile. While obtaining nutrients solely from food is ideal, to get the rest of the nutrients your body needs, you can add nutritional supplements like the ones found on this site. Not only do nutritional supplements help build up your levels of important vitamins and minerals required by your body, they also provide complementary nutrients that help your body to better absorb and assimilate the vitamins that you are able to obtain from your foods. As an example, you probably drink milk in order to meet your body's daily calcium requirements. Unfortunately, without enough vitamin A and vitamin D, your body is unable to properly use the calcium that is found in your milk. While milk is often fortified with these vitamins, they are typically not enough. According to a study published in the Archives of Internal Medicine, vitamin D deficiency is dramatically on the rise and is being blamed for an increase in such diseases as cancer and diabetes. Additionally, if your digestive system isn't working properly, you will have difficulty absorbing nutrients properly. Many supplements contain ingredients that help your digestion run smoother so that you can get more benefit from the foods that you eat. Adding a supplement containing probiotics to your diet is a great way to boost your gut health. Probiotics help restore the natural flora of your gut, which is easily damaged by taking antibiotics yourself or by eating meat that has been overly treated with antibiotics. 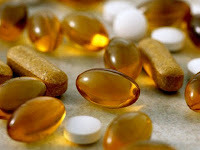 Adding nutritional supplements to your diet is a great way to improve your health. When your body is properly nourished, you will look and feel your best. This entry is a guest blog entry. A regular normal amount of exercise is known to reduce many diseases and improve heart health. However, some people have taken the “Let’s Move” and exercise suggestions to the extreme. Examples include running hours a day and training for grueling marathons and triathalons. By all means, people should feel free to do this if they want to, but they should do so knowing that there are potential serious health risks involved. People may be surprised to hear this, especially after hearing day after day about the need to exercise, exercise, exercise. This has led some people to believe that if exercise is good, then very high amounts of exercise must even healthier. But that is not always the case, as recently pointed out in a review article in Mayo Clinics Proceedings (reference below) that did not receive much media attention. The authors of the review paper found that long-term exercise endurance can cause abnormal structural changes in the heart and large arteries. This is especially true for people who train in marathons, ultra-marathons, ironman distance triathlons, and very long bicycle races. Initially, this could cause short-term overloading of the heart, decreased heart pumping efficiency, and elevations on blood tests that are indicative of heart damage. The good news is that these transient effects return to normal in one week. The bad news is that if this process of excessive repetitive exercise continues over months to years, it can lead to heart disease such as abnormal thickening of the heart valves and abnormalities in the heart muscle leading to stiffening of the heart tissue. This can also lead to abnormal heart rhythms. Other problems that can be caused by excessive exercise include coronary artery disease and stiffening of large arteries. Some of the risk factors are considered hypothetical and like most research areas there are some inconsistent findings. However, it is probably wise to consider the words of the ancient Greek philosophers to do things in moderation. Reference: O'Keefe JH, Patil HR, Lavie CJ, Magalski A, Vogel RA, McCullough PA. (2012). 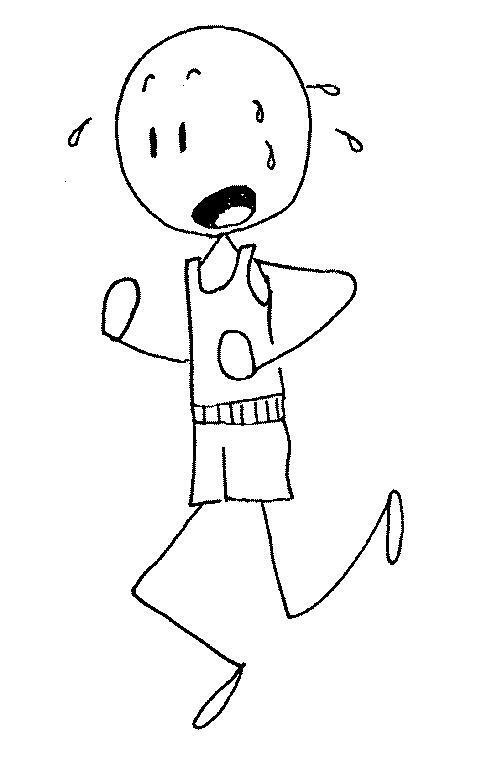 Potential adverse cardiovascular effects from excessive endurance exercise. Mayo Clin Proc., 87, 587-95. Can Hyperbaric Oxygen Therapy Improve Achilles Tendon Tears? Hyperbaric oxygen therapy (HBOT) is the application of 100% oxygen in a specialized chamber to treat medical conditions, most commonly decompression sickness. Decompression sickness is the formation of gas bubbles in the body from being exposed to extreme depths or heights. 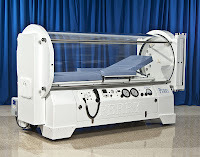 However, scientists continue to research whether hyperbaric oxygen can be used to treat other medical conditions. In a new study referenced below, researchers attempted to find if HBOT could improve early healing after Achilles tendon tear and subsequent repair, in rats. The Achilles tendon attaches the calf bone to the heel bone and is often torn as a result of athletic activity. The researchers took two groups of rats (28 per group) , surgically tore the tendons, and sutured them. Before surgery, one group’s Achilles tendon was injected with a steroid medication (betamethasone ) and the other group’s Achilles tendon was injected with a saltwater solution. Fourteen rats from each group were treated with HBOT and the others were not. The Achilles tendons were removed, evaluated for how well they moved, how strong they were, and what their features were like under the microscope 11 days after surgery. 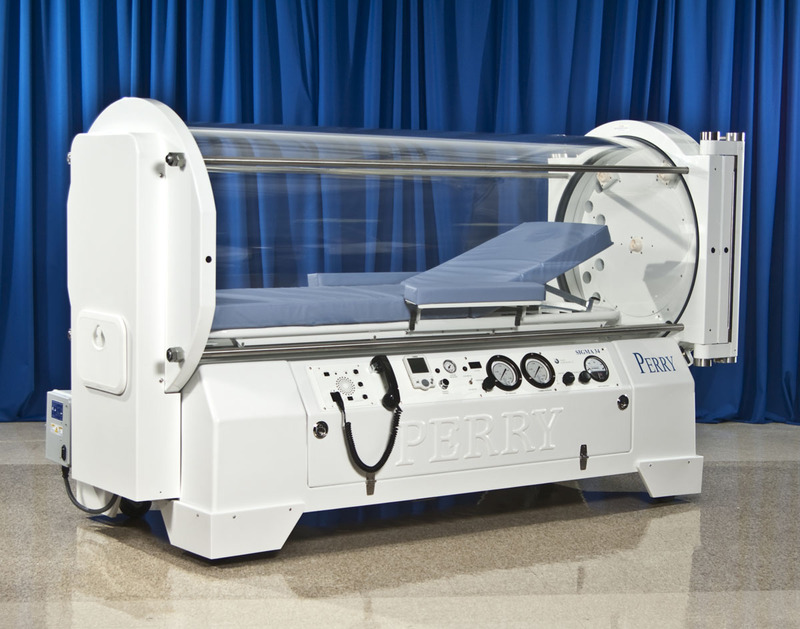 The researchers found that the group treated with HBOT showed improved healing of the Achilles tendon in terms of movement, strength, and formed more fibrous connective tissue. The results cannot yet be generalized to humans because it is based on rats but many will view the findings as promising. Reference: Kuran, F.D., Pekedis, M.P., Yildiz, H., Aydin, F., & Eliyatkin, N. (2012). Effect of hyperbaric oxygen treatment on tendon healing after Achilles tendon repair: an experimental study on rats. Acta Orthopaedica et Traumatologica Turcica, 46 (4). Intensive care units (ICUs) are not fun places to be. By definition, people placed on such a unit need intense medical care for a serious medical condition (which is often life-threatening). While on the ICU, the body needs to rest in order to heal and the best way to do that is through the restorative powers of sleep. With worse sleep in the ICU, it will take longer to leave the ICU, the patient may develop delirium, and worst of all, the chances of dying increases. Delirium is a state of fluctuating mental confusion that develops over a few hours or days. Some studies have shown that people in ICUs have sleep problems characterized by frequent awakening, abnormal biological clock rhythms, and/or a decreased length of time in the 3rd and 4th stages of sleep. To address this problem, treatment of sleep disorders in critically care patients are needed. However, in a newly published review article in the medical journal, Acta Anaesthesiologica Scandinavica, researchers found that there was not good scientific evidence that existing treatments of sleep disorders in the ICU setting worked. The authors suggested large multi-center studies to address this problem with larger groups of patients that were more alike as a group. The authors also suggested some specific possible changes such as: 1) improving the ICU setting, 2) not using as many medications known to cause sleep problems, 3) use of melatonin pills (a chemical that is used naturally in the body to promote sleep), and 4) using more types of mechanical ventilation to improve synchrony between the patient and the ventilator. Reference: Boyko, Y., Ording, H., Jennum, P. (2012). Sleep disturbances in critically ill patients in ICU: how much do we know? Anaesthesiologica Scandinavica, 56, 950-958. 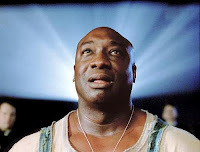 On 9/3/12, famous actor, Michael Clarke Duncan, died after complications from a heart attack that he suffered on 7/13/12. Some people may not be surprised because they remember him from his roles as an imposing figure in The Green Mile. Duncan was 6 foot 5 inches tall but before he became famous, he weighed up to 315 pounds. I have yet to see anyone comment on the irony of his death given that he became a vegetarian in 2009, lost about 45 pounds, and became a spokesperson for PETA, touting the health and strength benefits of vegetarianism. As I have made clear many times on this blog, I have no objections at all to people wanting to be a vegetarian. However, I don’t like when people continuously try to convince and badger others that they should not eat meat if they are perfectly content doing so. As I have also pointed out, the notion that eating a diet full of fruits of vegetables is going to provide some sort of guarantee against sickness and death is completely misplaced. In Duncan’s advertising campaign for PETA, he pointed out how elephants are powerful and strong despite only eating vegetables. However, the real King of the Jungle is the lion and the lion feasts on meat. I also once saw a nature show documenting a group of hungry tigers attacking and eating an elephant when provoked by hunger. The bottom line is that there are pros and cons to vegetarian and non-vegetarian diets and each person needs to make their own individual choice. However, the choice should be made based on realistic expectations. In other words, if you really love meat but chose not to eat it because of reported health benefits, you may regret not having the occasional hamburger or hotdog after being diagnosed with a terminal illness and should not be surprised if this occurs. If you truly love being a vegetarian though, won’t regret it when facing your own mortality, and won ‘t be shocked if you are diagnosed with a serious illness (e.g., cancer) then enjoy those fruits and veggies.